The cafe and food academy was launched with a mission to help people understand nutrition. Food bank use in Britain is already higher than it has ever been on record and nearly 2 million people in Britain may be undernourished. Global Goal 2 to end hunger must be fought for both at home and abroad — and there are some vital steps that need to be taken. Take action here to help end food insecurity around the world. 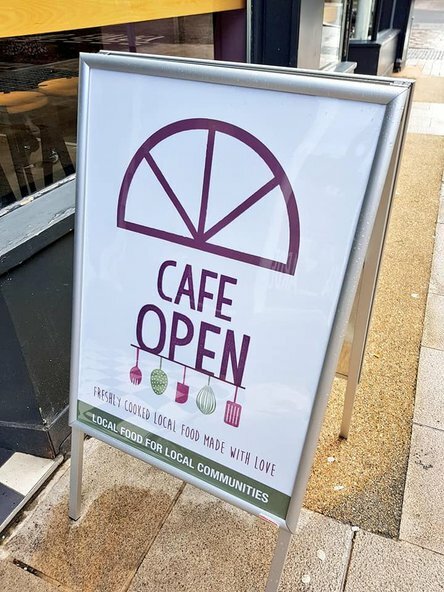 A new cafe in Preston open its doors in February with a mission to tackle food poverty and promote locally grown produce. Global Citizen spoke to founder Kay Johnson about why she set it up. The Larder (which stands for Lancashire and Region Dietary Education Resource) is a cafe with a difference. It's a social enterprise comprising a food academy and catering business, and is connected to a network of local farms. Preston is a small city in North-West England. The former industrial hub was hard hit by the recession and has a high rate of food bank use and diet-related health issues. The staff working at the Larder hope to change that picture by providing affordable, quality meals and cooking courses. Kay Johnson, the Larder's founder, told Global Citizen that getting the idea to this point and opening a permanent site is something that has been years in the making. Johnson is a nutritionist and credits her upbringing on a farm for a lifelong passion for food and the environment. After working on sustainable food campaigns elsewhere she returned to Lancashire five years ago and saw an opportunity for change. 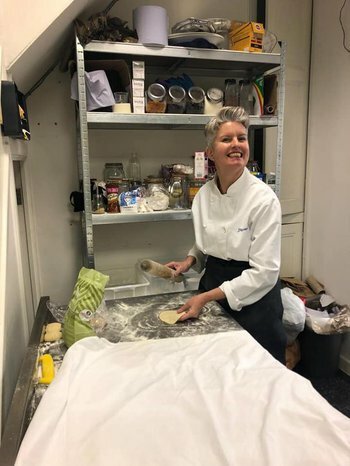 “In Lancashire I brought together the university, the council, public health organisations, chefs, and farmers to start the Lancashire sustainable food partnership that would look at how we could achieve greater sustainability in the food industry and we started a consultation," Johnson says. When funding for the consultation ran out in 2015 Johnson decided to carry on voluntarily, pushing on with her goal of a more food-secure and environmentally-friendly Lancashire. So the plan for the Larder began to take shape. Meanwhile, the academy side teaches cheffing courses and accredited employability courses for locals and Syrian refugees who have recently moved to Preston. Johnson says that she chose Preston partly because she knows it from her teenage years but also because she says the city is crying out for a project like this. Parts of the Preston were in the bottom 20% of the country in the multiple indices of deprivation report in 2015, and almost a third of children in the city live below the poverty line, according to End Child Poverty. Poverty increases diet-related health issues as fuel poverty, for example, means less home-cooking. In 2011 the Office for National Statistics (ONS) found that Preston and nearby Burnley had a significantly higher density of fast food outlets than the national average. “I chose Preston partly because I know it, but mainly because people I spoke to wanted something like this — there are public health problems here that stem from poor diet, fuel poverty, and there a number of people relying on food banks," Johnson says. Run as worker-owned cooperative, the Larder is the first venture opened through the city council’s Co-operative Development Network. Preston has become known throughout the UK for its pioneering strategy to boost the city’s economy by encouraging key public sector institutions to only tender contracts for work out to local companies if possible. The aim of the so-called "Preston model" has been to keep the city’s money in the region, rather than see important building work or catering contracts go to London-based businesses. In 2013, the six main public bodies in the city signed up to the model spent £38 million in Preston, but by 2017 that figured had almost trippled to £111 million spent locally, the Guardianreported. It’s still early days for the Larder – having been open about six weeks, but Johnson is cautiously optimistic. “We opened at the end of February," continues Johnson. "It’s ticking over, it’s not quite there yet. It’s taken time to get staff and get people’s heads around the concept. It’s a traditional town, it’s not adventurous, but people are stopping by more as it's been the longer it's here." "I think when a business is not just a profit-making operation, when the purpose is not just about making money, then it is harder to get it to work as a business," she adds. "Any profits we do make will go back in to the business." If the social media buzz around the Larder's events and courses is anything to go by, then it seems already well on the way to success.